Vasil Levski National Stadium is the venue where all matches between Sofia teams for the Republican championships, the cups of Bulgaria and the official matches of the national football team are held. The facility was opened for the Republican and International Athletics Championships. Vasil Levski National Stadium was licensed in 2002 by UEFA and has a four-star category under the UEFA and FIFA standards for the capacity of a stadium of this rank. Vasil Levski National Stadium is the only one of its kind in Bulgaria. It has 43 358 seats, with sectors A, B, C and D having a total of 42 834 seats; VIP boxes of sector A have 410 seats; stands for journalists with 80 seats and 890 spare seats. 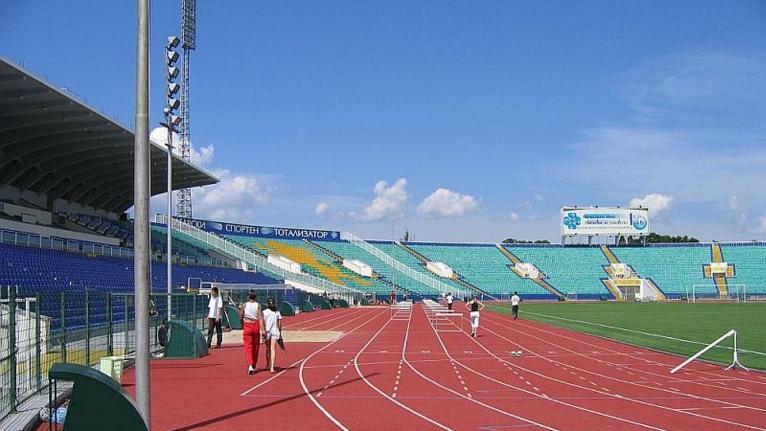 Besides the football ground (the football section) and the adjacent areas – tracks and playgrounds, Vasil Levski National Stadium has 14 sports halls – judo, rhythmic gymnastics, basketball, boxing, aerobics, fencing, general physical training, etc., as well as a covered track with a total area of over 2000 sq. m.
The facility also has two conference halls: Rodina hall and Bulgaria press-club. The stadium also hosts the Museum of Physical Culture and Sports. A part of the facility area is meant for administrative purposes and another part is provided for a restaurant and cafes. Initially, our main and almost only task was to replace the seats. There was an urgent need to expand the partial repair works and turn them into reconstruction which included a number of complex and costly construction procedures. Next followed a complete seismic consolidation, waterproofing of the stadium structure and shelter, partial replacement of plumbing and electrical installations, complete replacement of the playground, the athletics track, the lighting and the scoreboard, the sound system, the video surveillance and security systems, as well as meeting a number of UEFA licensing requirements for the facility. The halls and all the premises under the stands were repaired, the joinery was changed, the internal installations, the water and sewerage system, and the heating system, electrical installations and heat substations for the heating of the terrain were repaired and the scoreboard was changed. 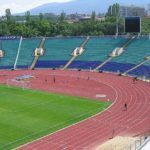 Finishing works were conducted for the overall reconstruction, vertical planning outside of the structure of the stadium, as well as the car parks and the roads from and to the main roads of Sofia. 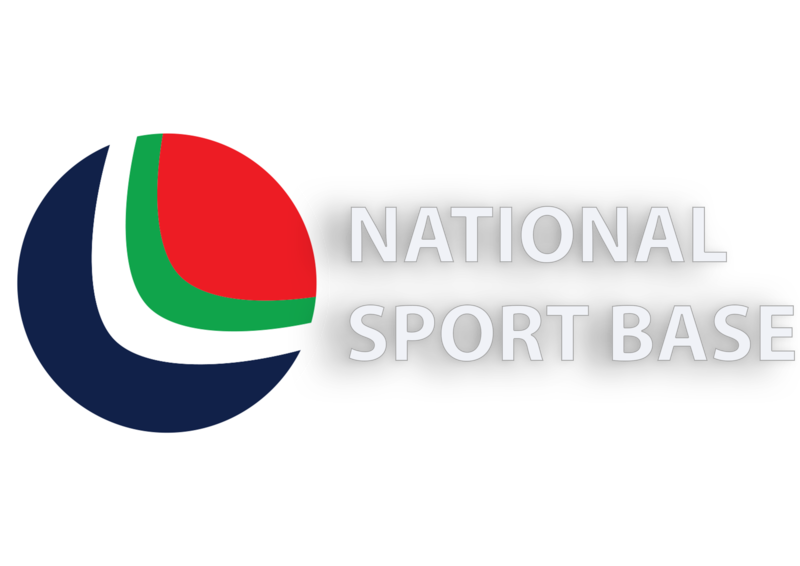 The State Agency for the Youth and Sports at the Council of Ministers, and for the third and the final stage of the reconstruction – the Ministry of Youth and Sports. The construction supervision was carried out by Link – Control, and the construction was completed by Glavbolgarstroy. The designers were arch. Roumen Parvanov, Mira Popova, Ivailo Nedyalkov and Iskren Galev. In the course of the reconstruction, the designers worked and consulted with the stadium team to improve and implement the project. 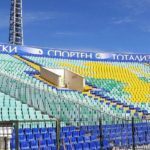 Nikrom Mebel AD took part in the reconstruction of Vasil Levski National Stadium with the delivery and installation of all seats. By Government Decision of 20 March 2003, the ownership of the stadium was changed from public state to private state. 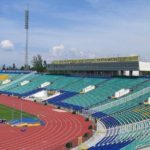 With a subsequent order, the assets of the stadium were added to the capital of the National Sports Base thus providing the funds to cover the costs incurred for the final phase of the reconstruction of Vasil Levski National Stadium. The concept was that Vasil Levski National Stadium should meet all UEFA standards and regulations with a view to the participation of the Republic of Bulgaria in all international events and meetings. 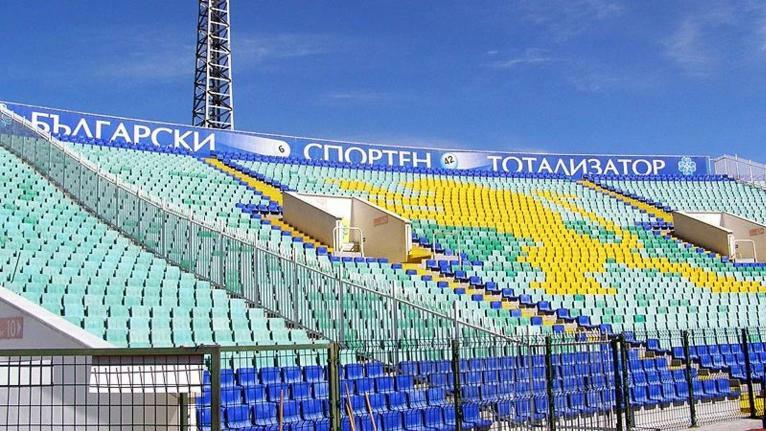 According to the manager of the facility Mr. Anton Popov the undertaken major repairs, reconstruction and finishing construction works of the existing initial structure and the adjacent areas around it, did not allow for the construction of additional stands, sectors and seats. Moreover, the construction workers thought primarily for the security of the spectators. Vasil Levski National Stadium has 26 entrances, 2 transport and 1 central entrance. The terrain of the stadium with the athletics track is heated and lighted. The pitch has natural grass. The complete maintenance of the heating, ventilation, sound and lighting system, as well as monitoring and other supporting activities are controlled by an integrated computer system. 91 cameras guard and observe all sectors of the stadium. The number of bathrooms is over 270. All entrances of Vasil Levski National Stadium have a signaling security system with turnstiles (counters) that provide a sample of the number of viewers at any time. These systems are the only ones in Bulgaria. No other sports facility, playground or stadium in Bulgaria has an equipment with similar technical characteristics. Vasil Levski National Stadium is among the 5 best facilities in this category in Europe. 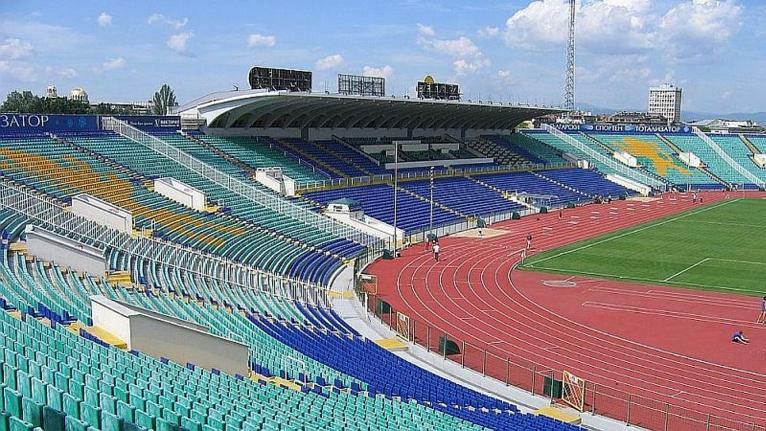 The sound system of Vasil Levski National Stadium is JBL and has no analogue at present in Bulgaria and Central Europe. After a lot of research, the team chose JBL due to the technical characteristics and the many opportunities provided by the American company. There are 80 seats for journalists having all possibilities of communication and transmission of sound and picture to a mobile TV station in the stadium parking lot. In 1924 Sofia Municipality gave a place on empty, unbuilt area to the right of the Perlovska River, just before “Orlov Bridge”. The terrain that was at the end of the city at that time was a landfill, where the Sofia municipality disposed of the garbage of Sofia residents. The stadium was built according to the project of arch. Zafir Abrashev and mostly by voluntary work. Arch. Abrashev was also the main contractor of the construction. The playground has been one of the most used in the capital for many years. 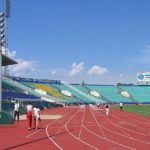 With a hard scoria terrain, athletics track and stands for about 10 000 spectators, most of the matches for Sofia and National Championships and almost all of the state championships for track and field athletics were held there. In 1949 a decision was made to build a new stadium in the center of the capital. In 1953 arch. Tenyo Dundakov offered the architectural design of Vasil Levski stadium. In terms of size and concept, the sports facility was adapted primarily for football matches and had 75- 80 thousand spectator seats. Almost 50 years later talks were initiated to repar the stadium. Seat replacement and ongoing improvements were discussed, but nobody provided for complete reconstruction. At the same time, the facility had to comply with UEFA’s recommendations and requirements. Thus, there was an indisputable need for modernization of the stadium and in the mid-1998 the then chairman of the Committee on Youth, Physical Education and Sport launched the planned reconstruction. At that time Vasil Levski National Stadium was paid as a non-cash contribution to the capital of the National Sports Base EAD. Lack of funds slowed the construction. A new general account was prepared and a new design was made. Again, project deficiencies were identified. At one point the construction supervision and investment control authorities under the UACEG withdrew from the construction process. At the end of May 2000 the site was closed, the repair works on the stadium were stopped and all activities were ceased. 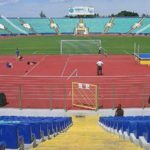 Following a number of regulatory, organizational and structural changes and repeated reviews of project in 2002 the reconstruction of Vasil Levski National Stadium, which had been anticipated for 5 years, was finally completed. 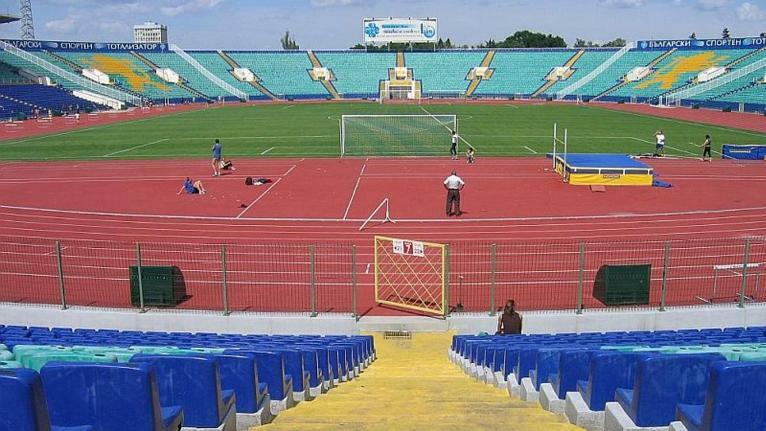 UEFA representatives Claudio Negroni and Enrico Walker arrived on 15 and 16 September 2002 in Sofia and saw the state of Vasil Levski National Stadium. The two experts were extremely satisfied with the work of the team, which managed to complete the repair work. On 12 October 2002, the National stadium opened doors for the international football match Bulgaria – Croatia. „ We are familiar with the status of Vasil Levski National Stadium. We know that there are now 3,000 seats with backrests, and there is no problem playing at this stadium and up to 5000 spectators may be allowed on it“ – the two UEFA emissaries announced. 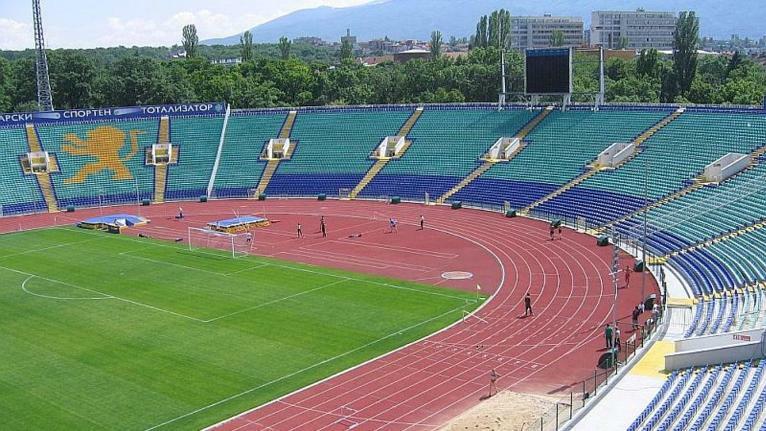 Within the period of 2002 – 2003 some finishing works were carried out, which included the vertical planning outside the structure of the stadium, the car parks and the roads from the main arteries of Sofia. Vasil Levski National Stadium was fnally and thoroughly completed. The capacity of the stadium now is 43,500 seats together with the boxes. Under a UEFA regulation, 10% of them are reserved for visiting fans. At the old stadium, the number of spectators always varied, i.e. it was never accurately mentioned, as the calculations were made approximately and according to the rate of the sold tickets, occupied and vacant seats, etc. With the cameras that are part of the stadium’s security equipment, one can track and see even a seat number or a dial-up number on a mobile phone in absolutely all sectors. These technical and security equipment are provided for the security of the both spectators and players. The team which services Vasil Levski National Stadium is commited to the stadium and does not tolerate any fights of fans and sympathizers. It keeps in touch with all fan clubs in the country. 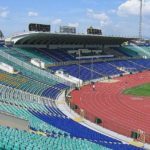 Until the completion of the site works, all work was carrid out in three shifts so that the stadium could be opened for the match between Bulgaria nad Croatia. Bulgaria – Croatia, 12 October 2002, Friday, at the first qualifying match for EURO 2004. 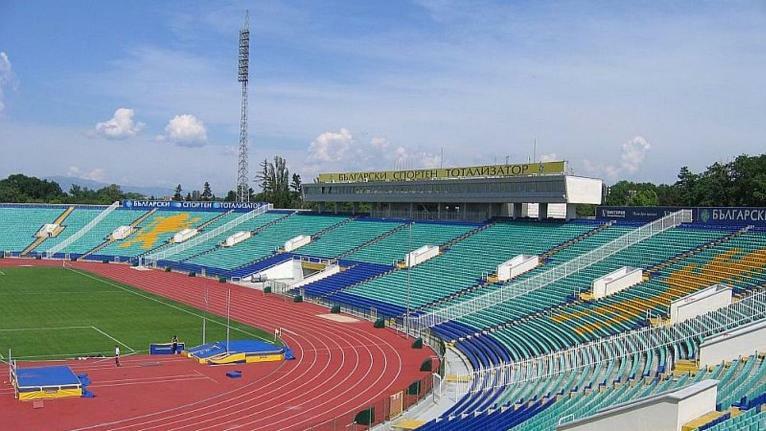 Although the reconstruction of the entire stadium was not completed, but only the football part of the stadium (the so-called cup) and the dressing rooms, the spectators exceeded the number of seats provided. Levski – Liverpool, 03 March 2004, 3 round of the UEFA Cup Tournament, 2-nd match, 42 281 spectators. Bulgaria – Sweden, 26 March 2005, Saturday, world qualification in group 8. 40 000 fans of Bulgarian team and about 500 supportes of the opposing team which are seated between sectors A and D. The President of the Republic of Bulgaria Georgi Parvanov and the Prime Minister Simeon Saxe-Coburg Gotha are at the stands of Vasil Levski National Stadium. Here was also Michel Platini, at the invitation of the coach of the national team Hristo Stoichkov. The stands of Vasil Levski National Stadium were in the colours of the national flag. The most numerous security teams for such types of sites – about 1200 police officers of the Sofia Metropolitan Directorate of Interior, including teams of the metropolitan traffic police and the Sigma motor group. The Bulgarians were the most joyful in the summer of 1994, when welcoming the Bulgarian footballers at Vasil Levski National Stadium, who won 4th place at the World Cup in the USA. The two world records in 1961 are the most remembered achievements in the history of Vasil Levski National Stadium in front of crowded stands – that of Valeriy Brumel at high jump (2.25 m) and of Tamara Press at discus throw (58.06 m). The most funds were collected on 21 September 2003 on the International Peace Day. The Ministry of Youth and Sports was the chief organizer of a football match at Vasil Levski National Stadium between diplomats, politicians, national team players and artists, musicians and public figures. The collected funds were used to support the development of the children and adolescent sport in Bulgaria. General Boyko Borisov, Emil Kostadinov, Petar Popangelov and other celebrities played under the guidance of Dimitar Penev. The match was also in memory of the dead Swedish Foreign Minister Anna Lindh. 25 April 2005 was an Open Doors Day at Vasil Levski National Stadium. The most visited sports festival was organized since the stadium had been reconstructed. The longest-serving employee at Vasil Levski National Stadium is called Mihail Ivanov, who started working here at 16. On 11 May 2005 Bai Misho celebrated his 60th anniversary. Lepa Brenna was in Bulgaria in 1990 and during her big tour she appeared at the crowded stadium “Vasil Levski” with the helicopter of Todor Zhivkov. 80 000 tickets were sold (with a unit price of 20 marks), the organizer of the concert was the Music Directorate – Kyustendil, and the spectators completed even the tunnels of the entrances. Stars like Scorpions, Bonnie M, Paul Young, Technotron, Sandra, Metallica, Madonna, AC / DC played in front of crowded stands. Vasil Levski National Stadium is a proper place for organizing the concerts of stars of such rank, provided that all safety standards for the installation of the facilities and structures are observed. Tram lines № 10, 12, 14, 2 and 18, stops Vasil Levski Blvd. – Hristo Smirnenski Blvd. Address: 38 Evlogi and Hristo Georgievi Blvd.